Happy Sunday, all! I hope our US readers have done some sufficient damage on all of those Turkey Day leftovers by now. I know I still have at least one slice of pumpkin pie still stashed away in the back of the fridge (shhh, don’t tell!). 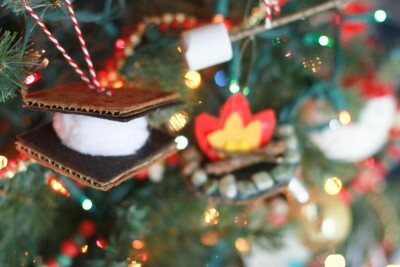 With harvest time over, though, my mind always immediately flows to the next big crafty season: WINTER! Holly berries, ivy, snowmen, hot cocoa, warm flannel, and the smells of peppermint or gingerbread! Can you picture it? No matter what you celebrate in the coming month, there are bound to be some opportunities for a little crafty decorating. 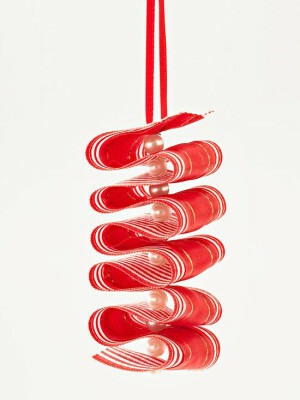 How about a fun start with some DIY ornament tutorials? 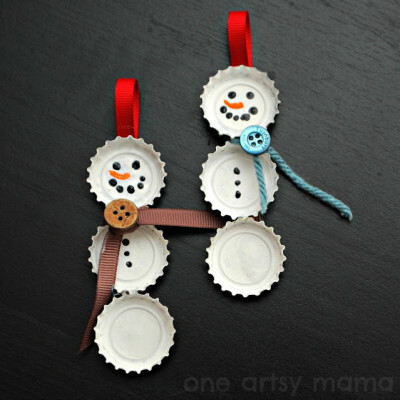 From frosty bottles to frosty crafts! From warm mugs to warm hats! This looks pretty enough to eat! Did I say the last one looked good enough to eat? This one looks pretty scrumptious, too. Short of the needles needed for some of the details, all of these would make great weekend projects with any of the kiddos in your life. Now, if you’ll excuse me, I think I hear some hot chocolate and holiday projects calling my name. Have a great week and I’ll see you next Sunday! I actually prefer to use beeswax for this, but if you don’t have any around, you can use a new or used dryer sheet to keep your thread from tangling. Thread a needle and then drag it through a dryer sheet to stop the thread from sticking to itself. It works great and your sewing will smell a little nicer for a bit. She has some other amazing uses for Dryer Sheets including removing dead bugs from your car and freshening while you vacuum. To do this, spray the car down with either water or a mild cleaner and then use the dryer sheet to scrub. Viola! You can add half a fresh dryer sheet to your vacuum bag or canister to make the house smell great while vacuuming! Normally the dryer sheet is not strong enough to scent the air, but you’ll find the air smells cleaner. In my case, it totally gets rid of the dog smell the vacuum tends to take on! This unusual use works really really well – the house will smell extra clean once you’re done! It’s especially useful if you have pets. I normally end up using both halves of the sheet as I have to empty the canister halfway due to a crazy abundance of dog hair. I like the keeping thread tangle free the best though. To read all 10 uses for Dryer Sheets check out the full Instructable article. Last Saturday I talked about the retail stores you can get craft supplies for great prices today. But what about actual crafts? Some of our favorite Crafters (and members) are having Black Friday sales of their own! Take a look. Dryad Tea is having a 15% off sale on all teas! They also have some special items up just for this weekend including Woodburned boxes, Mugs, Tea infusers, and tea coasters! 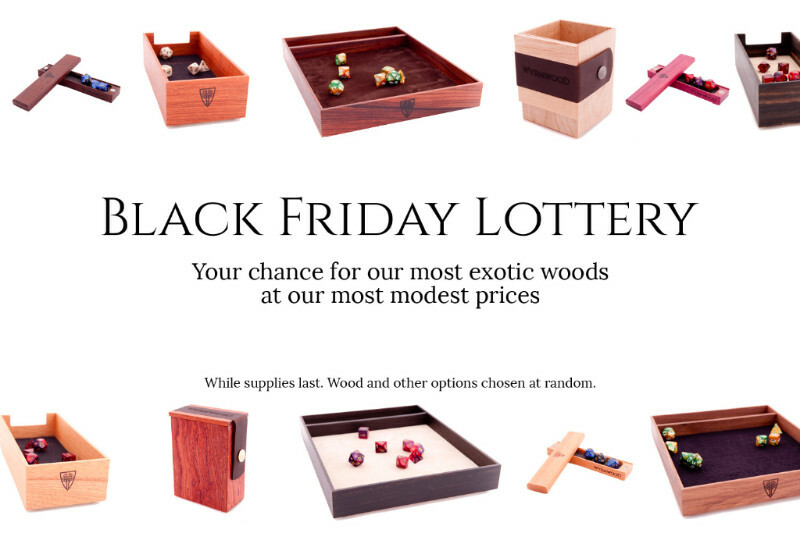 Wyrmwood Gaming (one of my favorite tabletop suppliers) is having a special lottery for some of their most exotic woods. For the price of less expensive woods you could receive some of their most exclusive woods instead! Lastly, Seams Geeky is offering 15% off your order! 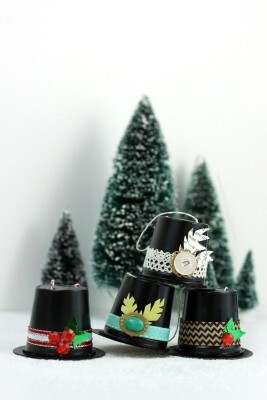 However you shop today, make it a crafty day! As we get into the cooler weather, it becomes time once again, to use fire to warm and light our living places. Fireplaces. Lanterns. Candles. Oh my! You know how much of a fan I am of DIY tutorials that are easy to do in an afternoon that don’t require too much space – since both space and time are in short supply in my home. I also love tutorials that would work really well both for myself and for gifts, so when I came across this I was very excited! Your materials are simple. All you need are crayons (they can be leftover from a craft drawer, they don’t have to be new), some white candles – they can be pillar or taper, whatever size you like. If you don’t have enough crayons to make a batch of melted wax that is deep enough to dip (or roll your candles in on an angle) then you’ll also need a spare white candle to melt down into the wax. Just remember that this extra candle will make the colour softer and more pale. The last thing that you need is possibly the most important. It’s a double boiler. If you don’t know what this is, they can be found at kitchen shops, antique shops, or they can be made with what you have on hand at home. Basically, a double boiler is a pot that sits on another pot that holds boiling water so that what you are melting doesn’t touch direct heat. This means that whatever is inside isn’t going to burn and it will melt evenly. Martha Stewart’s tutorial actually suggests using a crock pot, which would make for super easy clean up. The Free People blog has a great tutorial for those of you who don’t have a double boiler as well as lots of cool pictures to show you the result, and there are plenty of resources on the internet to help you out. Your process is simple: All you need to do is to crush up the crayons you would like to use into a double boiler. Using a knife will break them down easier than using your hands, but be careful. A makeshift double boiler, also from Free People. 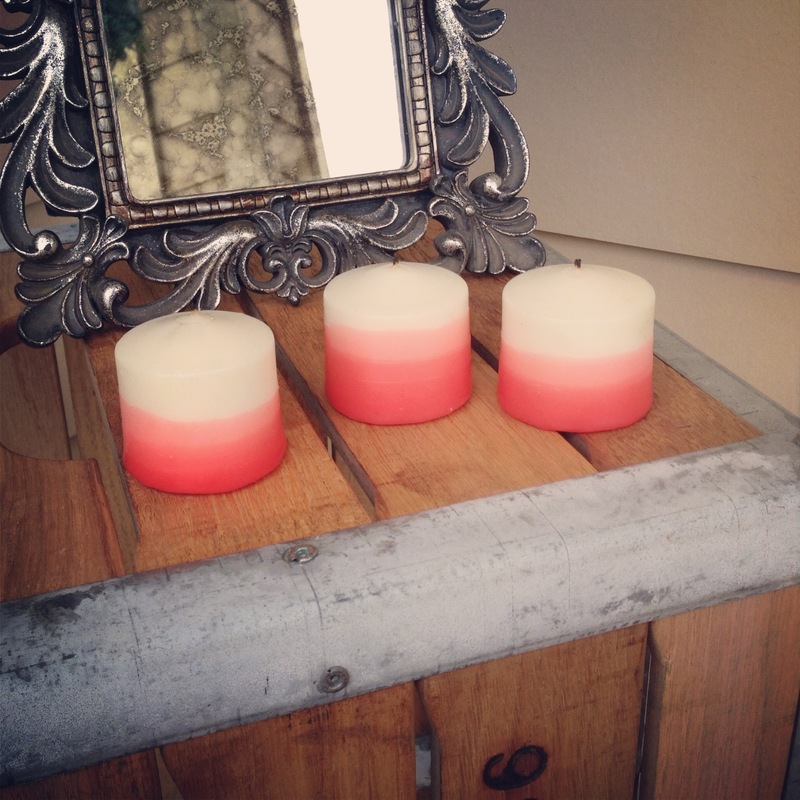 They used a can big enough to fit a pillar candle as well as to move it around to get the desired dip shape. Try to also keep similar colours together, so even if you don’t have enough of a specific blue, you can add in other colours as since it’s going to melt, they will all become one glorious blue that will throw all other blues to shame. Or… you know. Use what you have rather than spending more money than you need to on something like this. Put your crayons into a double boiler and melt them down. They should melt pretty quickly. You don’t need a huge amount of wax but you need enough that if you tilt your double boiler pot on the side so that the wax is made deeper in the corner of the pot, that it will get as far up your candle as you would like. As I said, if you don’t have enough on hand, add some white wax from an old candle or from a new one that you’ve bought to bring the volume up. You can even use paraffin wax, which you can find in the canning section of a grocery store. Photo courtesy of Fraeulein Zebra’s blog. Be very careful as you do the next step and please use heat resistant gloves if you’re using an improvised double boiler as it will be very hot, you need to dip the bottoms of your candles into the coloured wax. You can do a few layers of the wax as you’d like, dipping 2 or 3 or 4 layers. Or even dipping less deep each dip so that it’s a more graduated and fading effect. 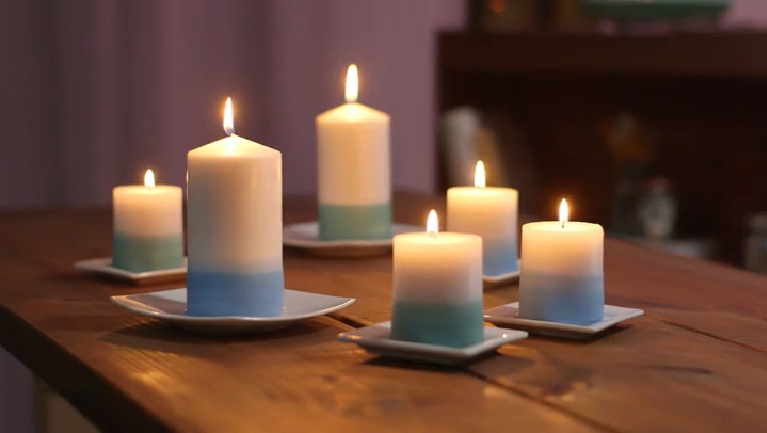 When you’re finished, hold the candle for a few seconds while the wax dries before putting it on a tray to dry fully. The wax will harden quickly so this should only take about 30 seconds. And that’s it! Easy right? The only catch is that you can only do one colour at a time, so if you’re planning on multiple colours, you may have to do this in different stages, though you could get some very interesting effects with layering. I hope you have some fun making beautiful light to add to yours or someone else’s home! There’s something inherently odd about celebrating a holiday that nobody else around you celebrates, and while I don’t do all of them, there are some that just feel like they need to be celebrated, even having lived out of the US for over 15 years. Thanksgiving is one of those, and over the past few years I’ve come to realise that having Thanksgiving as an ex pat is very different than Thanksgiving in America. Not only do we usually have to celebrate on a different day (because who else would take off Thursday without taking off Friday, and who has that many free holidays? ), but the food stuffs and crafts that you can find are different. Back home, I always loved the Thanksgiving themed and fall foliage inspired decorations, but when you live in a country where there is no Holiday between Halloween and Christmas, the demand for such just doesn’t put the same kinds of materials into the shops. Bear in mind that Ireland has about a week of “proper” autumn with leaves changing before it goes from warm enough to wander without a coat to freezing rain hell. If you’re celebrating the Canadian Thanksgiving, you might be able to find autumn decorations, but if you’re celebrating the American Thanksgiving, then you are squarely in the Christmas firing zone and all the soft natural oranges and yellows can’t get a look in among the green, red, white razzle dazzle of Christmas preparation. And of course the preparation takes so much longer. Turkeys have to be ordered, because you cannot guarantee that they will not be being “saved for Christmas” by shops. Cranberry sauce in a can is unheard of. Pumpkin for your pie has to be carefully hoarded as soon as it goes on sale for Halloween as it will not be available by the time Thanksgiving rolls around. This year I’m going to introduce our hosts’ children to the craftiness of Thanksgiving. We’re going to make hand print turkeys, leaves, and all the decorations we can’t find here. Its a small act of rebellion, that will be concluded with the pumpkin pie that no one but myself and a fellow ex pat are particularly fond of but can’t live without. Its a small thing, but it reminds me to never take for granted the traditions we hold dear for they can be gone in something as small as a flight. There will be laughter, tears, and ultimately love. It isn’t the same as Thanksgiving in the home country, but it is more than enough. Happy Thanksgiving to all celebrating this week. I know these have been around for ages, and you’ve likely seen them are very expensive items at all natural stores, but stop! Don’t spend your money on something that you can make for much, MUCH less on your own; especially with the great prices fabric stores will be running for Black Friday Deals. What are they? The super versatile rice (or bean) pad, and as long as you have basic sewing skills, you can make them. I’ve been making them off and on as gifts or just for personal use for years now and my family loves them. They can be a quick cold pack that you don’t have to worry about melting, or a nice little bundle of warmth you slip into your bed on these increasingly chilly evenings so that it’s all warmed up for you. You can even make small hand held ones to use for bruises when they’re cold or pocket warmers when they’re hot. As long as you don’t get them wet, these handy bags will last you forever. -Measure and cut fabric for a long rectangle rice pad as well as small square ones. -Sew 3 sides together and fill with the appropriate amount of rice based on the size of the rice pad. -Carefully sew the pad closed. -Measure and cut flannel fabric for the covers for your rice pads. -Sew together so that it has an opening much like a pillow sham for your bed. 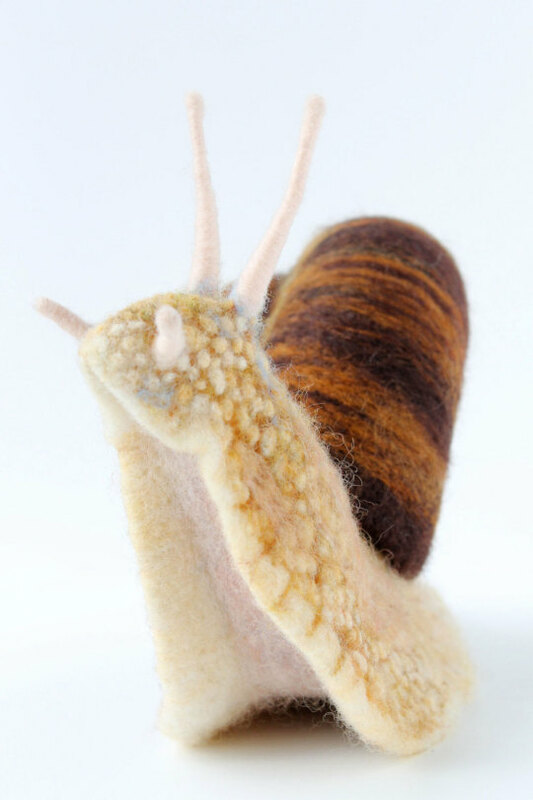 I know I’ve posted some pretty spectacular needle felted items in the past, but seriously, I just keep finding incredibly talented people when it comes to this relatively unknown art form! 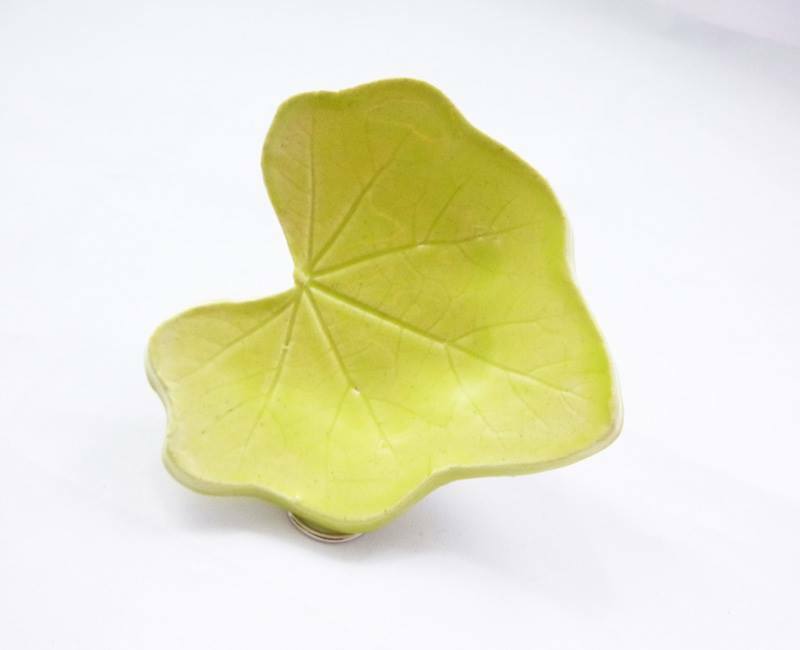 This newest find has been selling her work on Etsy for the past 3 years and it’s just amazing. 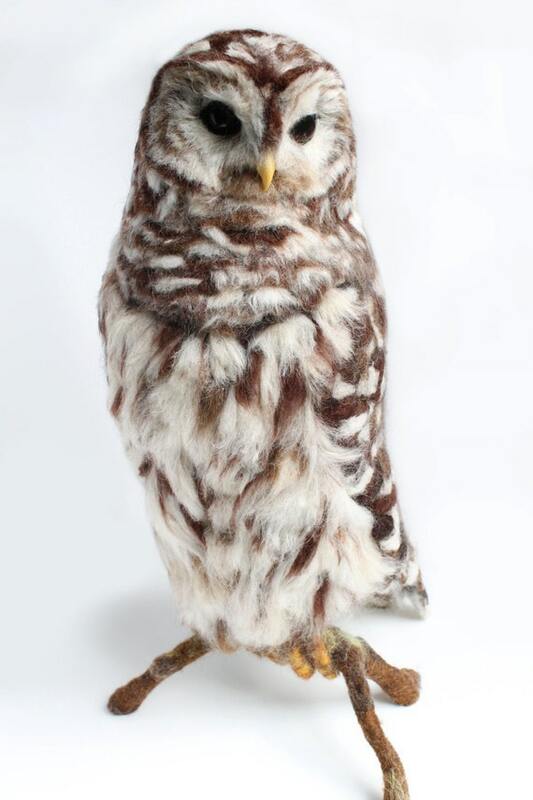 Yvonne’s Workshop is all about making custom nature based display pieces for you home that are just so on point. Other then witchcraft I have no idea how she gets something heavy like that owl to balance properly. XD Her work can also be delicate and small though. Let’s face it, the holidays are coming (where did the rest of the year go?!). 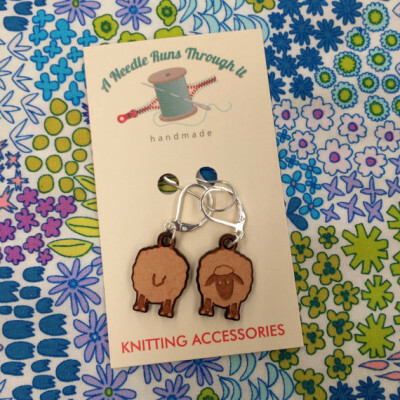 Are you at a loss for gift ideas for your friend/significant other/second cousin twice removed that enjoys textile arts like cross stitch, crochet, and knitting? 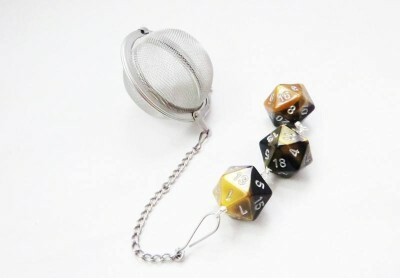 I have found just the thing, mainly because they are currently on my holiday wishlist. A Needle Runs Through It is run by a lovely lady that started her business by creating sturdy project bags for those that like to take their needle crafting with them wherever they go. She has since expanded to include needle minders. Needle minders, protecting fingers and toes everywhere! Not familiar with them, you say? If you have ever completed a project that requires a needle no more than 2 inches long, you know the pain of dropping and then trying to find your needle without stepping on it/stabbing yourself in the process. 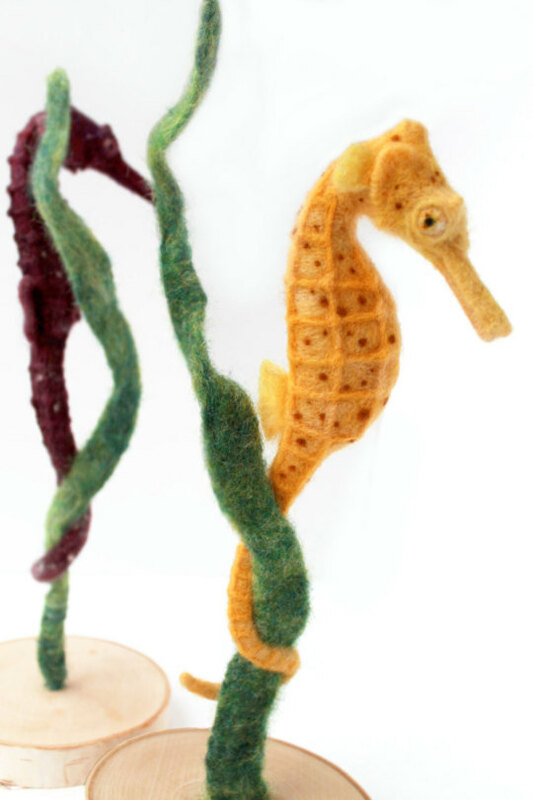 Needle minders are little magnets that attach to the front and back of your project so that when you need a break or to change your thread color, the needle has a safe and apparent place to rest. 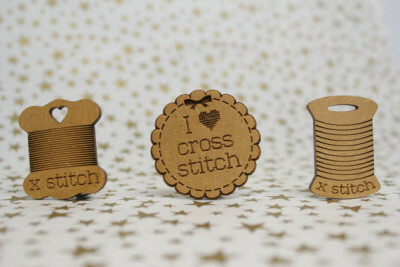 Her shop has some of the cutest little needle minders I’ve ever seen. 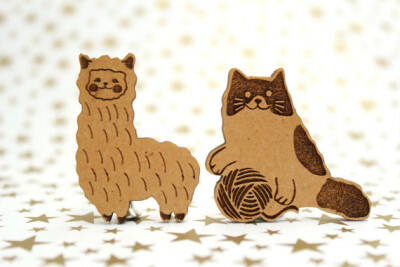 Alpaca and kitty will keep your needles safe! Does your friend/SO/cousin perhaps prefer subversive cross stitch? 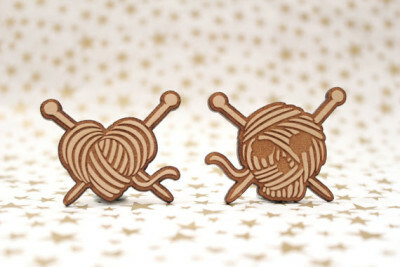 How about a super awesome yarn skull needle minder? That’s some tough craft love right there. She has plenty to choose from! Even TARDIS shaped needle minders for the Doctor Who crafter in your life. To get your own needle minding awesomeness, you can find A Needle Runs Through It on Etsy and Facebook. Wishing all our readers in the US a safe and happy Thanksgiving this week! Now back to those holiday crafts I need to finish! Where’s my needle? Next Friday is black Friday in the States. This is the day that normally kicks off the holiday shopping season. A lot of stores offer fantastic deals and sales so even people that do not celebrate the Holidays find something they want or need at a good price. Here are the Crafty deals (and coupons) that you need to know if you live in the States. If you don’t live in the states (or don’t feel like t]leaving your home) a lot of these retailers are offering the same deals on line and will ship. I know Nicole and I will be out shopping and plan on hitting all of these places plus the Container Store (the ad hasn’t been leaked yet) to stock up on the supplies to store my quilts and pillows that were stolen. So if you are in the DC Metro area we may see you! TeslaCon is, at its core, an immersion event. What this means is that, besides the wonderful panels, talented entertainers and fantastic dealers’ rooms, attendees fully experience the story and time period throughout the convention over the three days they are attending. Unlike other events that have actors just in costume and chatting small talk, TeslaCon uses “layers of immersion” and creates a sense of believability to take the immersion to a whole new level. First, we start with our cast and crew. From the villains, known as S.W.A.R.M., to the good guys that include Captain Krieger and Dr. Todd, all the actors and even the security team play a vital role in how the convention feels. Each person has been given a part to portray and, over the three days, they bring the newest story to life with their characterization. The story arch is carried through with small presentations and interaction with the attendees along with specialized, character-driven, interactive events. Secondly, we have a new part that is known as “hall immersion” where people from the period, place or activity move among the convention members and enhance the main story that the cast is carrying out. Specific characters are created to project a story arch or create a special moment that helps the main story move along. For instance, year six will be the “Wild, Wild West.” You may find yourself talking to a blacksmith that cares for steam driven houses. He might even demonstrate his techniques. The idea is to make the entire weekend believable in your eyes. Finally, we strive to offer new ways to present panels, in a way that the story is part of them. From character driven presenters to music and song, the panels become just as much a part of the immersion as any other character. This way, even while learning a new task, or discussing a theme, you still are part of the world we have created. Not everyone is into immersion, and we understand that. To be truthful, you can just have a fairly regular experience if you wish and not partake in the immersion events. Either way, TeslaCon gives you a Steampunk experience like no other! I may have to look into attending this convention next year because it sounds amazing. 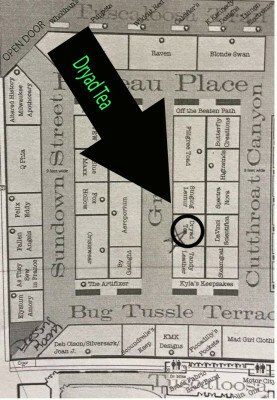 Oh, and Dryad Tea is going to be there! 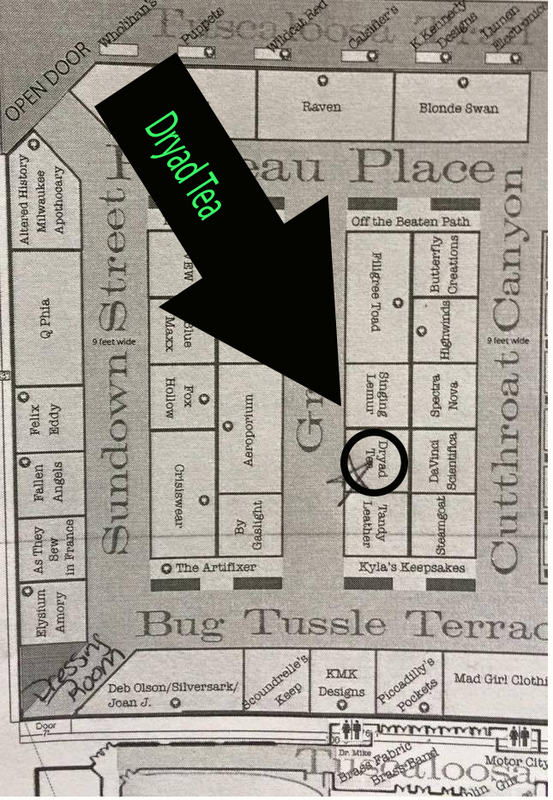 So if you like Steampunk, Role Playing, adventure, and Tea, then TeslaCon is where you want to be this weekend!